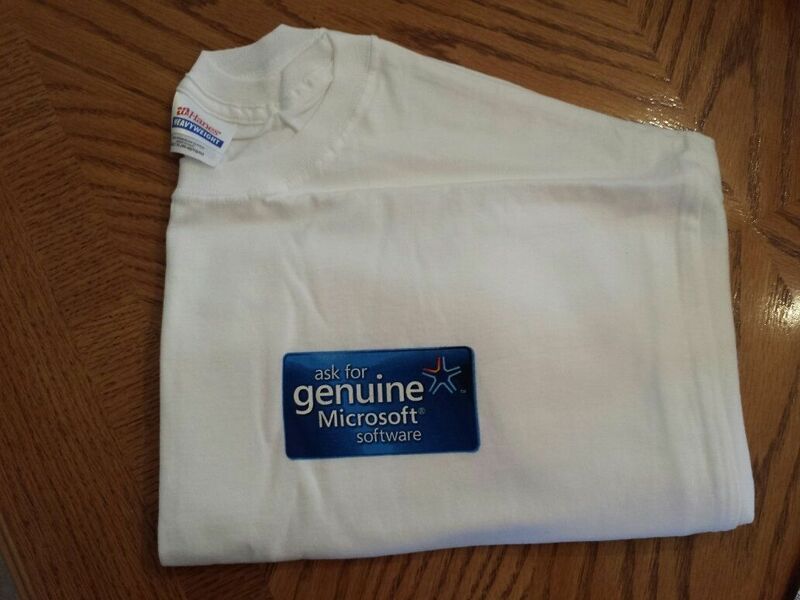 Vintage Microsoft T-Shirt with print on it that says "ask for genuine Microsoft software". See picture. Brand new and never worn. Excellent condition! Came in envelope with letter from Microsoft congratulating me on being one of the first 500 attendees at the Microsoft Gets Tougher on Piracy: What This Means for Your Business webcast. Package is dated 7/18/2006, so this is a very rare t-shirt that any MS fan will enjoy wearing! Ship U.S. 50 states only.